On Thursday, Condoleezza Rice, President Bushs national security adviser, is scheduled to testify under oath before the commission investigating the Sept. 11 attacks. The Op-Ed page invited two people with expertise in terrorism and national security to suggest questions for Dr. Rice. 1. A search of all your public statements and writings reveals that you apparently mentioned Osama bin Laden only once and never mentioned Al Qaeda at all as a threat to the United States before 9/11. Why? Is Al Qaeda capable of carrying out another Sept. 11 attack in the United States? The terrorist organization doesn’t appear to have sleeper cells in the country able to perform such a mission, or even capable of launching a smaller-scale operation against a “soft” target such as a mall. If Al Qaeda had this capability, its cells would have attacked either at the beginning of the Iraq war in spring 2003 or during the recent presidential election. Almost without exception, the “terrorism” cases in this country since 9/11 have involved wannabes and malcontents accused of “material support” for terrorism, not planners of terrorist acts. Moreover, to its enormous credit, the Muslim American community since 9/11 has rejected Osama bin Laden’s ideas. Europe seems increasingly likely to be the target of the next major Qaeda attack, a trend that could intensify when scores of Qaeda-affiliated militants who left European countries to fight in Iraq return home, several top terror analysts said. Europe is vulnerable in ways that the United States is not, said many of those attending what was described as the largest conference ever on Al Qaeda, the group behind the Sept. 11 attacks. 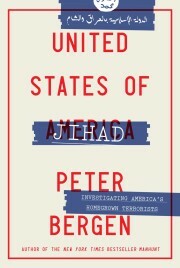 The best of the recent slew of books on terrorism, as chosen by one of the few Western journalists ever to interview Osama bin Laden.